BRISBANE: If there was one upside to Pat Cummins’ six years of injury hell it was the chance to improve his batting. 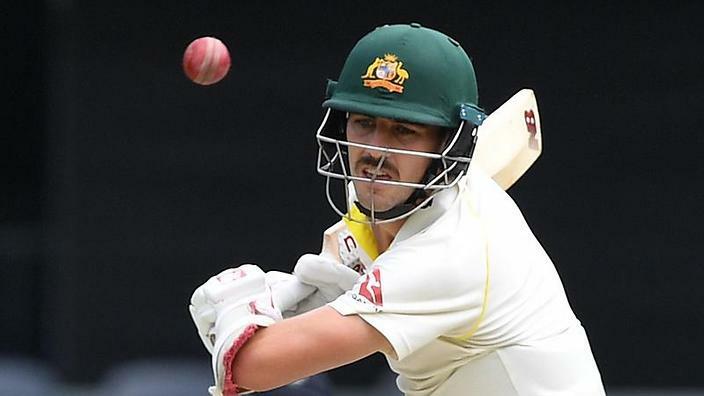 Cummins’ name has rarely been mentioned in Australia’s seemingly never-ending search for an allrounder, with his express pace viewed as far too important to consider the notion. But the 24-year-old spelled out his credentials in a vital 66-run partnership with Steve Smith at the Gabba that shifted momentum in the topsy-turvy Magellan Ashes opener. Cummins’ knock of 42, the highest of his stop-start Test career, could hardly have come at a more important time given Australia faced a major first innings deficit when came to the crease. “He’s an exciting talent,” Smith said after play on day three. “I thought the way he played was outstanding. ‘He had such a good defence, he put the loose balls away and left really well and he played the short ball well, so that’s batting really, isn’t it? Former skipper Mark Taylor said Cummins had the potential to develop into an allrounder. “He’s got plenty of power but he has balance. No doubt he could be an allrounder,” Taylor said on the Nine Network. Shane Warne wouldn’t go that far but sensed Cummins, who played an ODI as an allrounder earlier this year in New Zealand, would soon be promoted up the order. The gutsy knock featured a textbook cover drive off Chris Woakes plus a lofted six off Moeen Ali, but also the sort of restraint that Smith craved so dearly. Cummins made headlines around the world in 2011, when he was 18 and earned man-of-the-match honours on Test debut in South Africa. A series of serious foot and back injuries meant he didn’t play another Test until 2017, with the current match in Brisbane being his first home Test. The right-armer was often unable to bowl during that stretch, when Cricket Australia managed his body like a fine piece of china. But batting was a different story, Cummins played some grade cricket as a batsman and spent quality time at the crease. “I’ve always enjoyed batting, so every opportunity I have to get a hit in the nets, work with coaches, bat in games, I will do,” Cummins said in 2014. The reward was obvious during the most recent KFC Big Bash League season, when he clobbered 134 runs at 33.5 for Sydney Thunder. “The last probably three or four months I feel I’ve learnt a lot more about my batting,” Cummins said earlier this year.